I don’t knit when it’s warm out. So when the weather started to turn I definitely got the bug! Of course I couldn’t just ease my way back in since I haven’t done anything since Christmas. Where is the fun in that??? 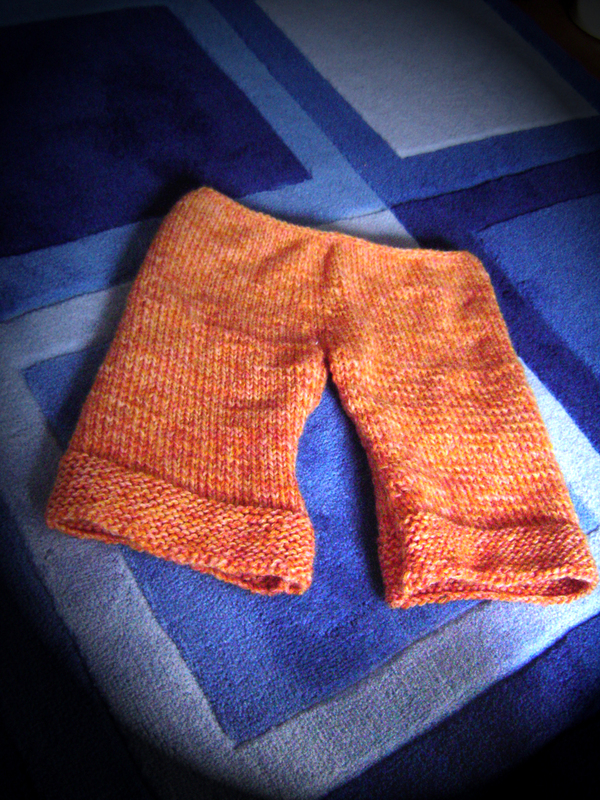 No, I decided to jump in head first and make this baby some wool pants – also known as longies! I used this pattern from The Blue Blog and I was off! I didn’t stick to it 100% (i.e. I ran out of yarn and couldn’t do the turnover waistline) but it’s close enough. All I need to do now is add a drawstring and a baby! too cute..gotta learn to knit! Good thing you’re having a winter baby. So so so cute! What’s next?